April is Distracted Driving Awareness Month. Distracted driving is extremely dangerous. The National Safety Council reports that everyday nine Americans are killed and 100 others are injured in distracted driving crashes. 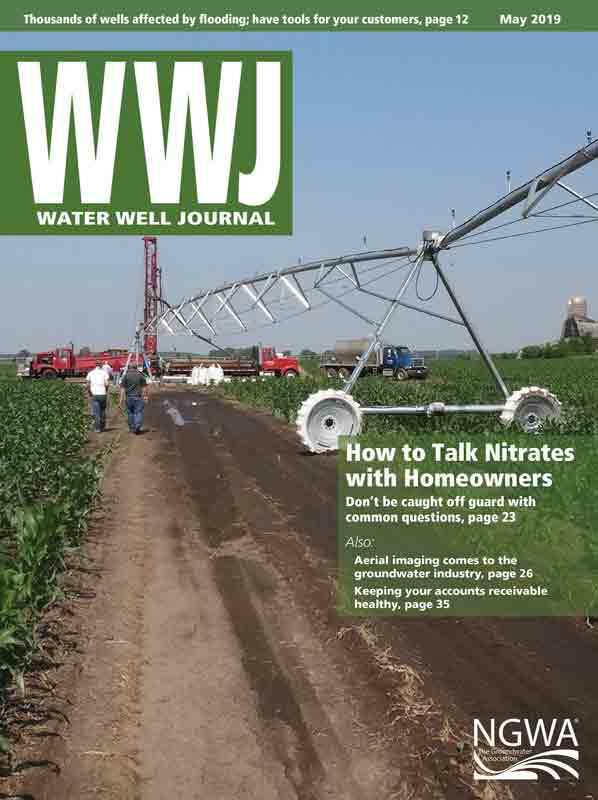 The National Ground Water Association’s Water Well Journal Editor Thad Plumley wrote about the dangers of distracted driving in his Editor’s Note in the April 2012 issue. The full column is below. Plumley recounts his father getting hit from behind by a dump truck at a stop sign. The driver admitted to admiring a nearby car and not watching the road. Incidents like this are happening more and more today. The main culprit is not usually a new car, but a cellular phone. Not use voice commands in vehicles while driving. 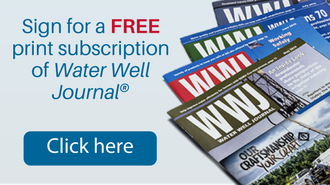 Click here to learn more from the National Safety Council. The Honda Accord my father was in at a stop sign crumbled like an accordion when it was hit from behind by a dump truck. Suddenly, the car was sliding through the four-way intersection. Fortunately—or rather luckily—it was not hit by an oncoming car. The impact of the collision was so forceful that the glass in my father’s car exploded and scratched the Lexus beside it at the stop sign. The reason for the accident? The driver of the work truck admitted his eyes were admiring the brand-new Lexus and not watching the road. It seems incidents like that are happening more and more today. Most often the culprit for the distraction is not a shiny car, but a cellular phone. cars, but nine have already banned the use of handheld phones. And you won’t hear a complaint from me. In fact, I completely agree with the Federal Motor Carrier Safety Administration, which bans the use of handheld cell phones by drivers of commercial motor vehicles while traveling or drivers transporting hazardous materials that require placards to be displayed on their vehicles. As my father can attest, work trucks can do a lot of damage when they collide with a small car. Cell phones have revolutionized the way we do business but when you’re on the road operating a vehicle that outweighs everything around you by several tons, your full attention should be on the road. Calls to alert a customer or your office enable businesses to run smoother than ever, but unless you have a Bluetooth earpiece or dashboard-mountable microphone device, it’s best to pull over to the side of the road or a parking lot for these calls. And while it should be obvious, never send text messages while driving. Coincidentally, the accident my father was in happened less than one year after I was hit at a stop sign by someone texting and driving, so I can assure you those accidents are real—and scary. Devices that block electronic information from entering or leaving a moving vehicle are now arriving on the market and are certain to grow in popularity. I suggest before one is placed on your company vehicle, develop good phone-and-road habits now. You don’t want to ever be in such a conversation with an officer—especially one where the officer nods in agreement as an ambulance drives away.